Debt consolidation can be a good option for people who can only make the minimum monthly payments son their debts. 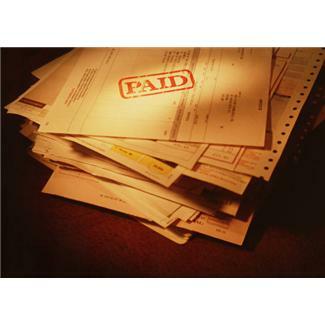 Since paying the minimum amount will not reduce the principal amount, it will take more time to clear your debts. Depending on your financial situation, debt consolidation might not be the best option for managing your debts. Seek help from a credit counselor before you settle for this option and also try to understand the process involved in debt consolidation. Here are the most important pros and cons of debt consolidation. Debt consolidation means taking out a new loan to pay off old debt. A debt consolidation loan usually means a lower monthly payment because your payoff period is extended. You will have more money to spend on your other needs, as you will be paying less on your debt. A debt consolidation loan can help you clear your old debts and you will have a single payment on the new loan. It will be easier to keep a record of your payment as you will have only the one to make each month. Failure to pay your debts on time has a negative effect on your credit score. Consolidating your debt enables you to pay off your older debts so your credit score will improve with time. With a consolidated loan, you will make payments to only one creditor. If there are problems, you will need to contact just the one lender instead of several calls to different creditors. This should also help you organize and better control your finances. Another advantage of consolidating your debts is that it could help you get a tax break. If you use a home equity loan to pay off what you owe, you can deduct the amount of interest you paid on the loan. Most consolidated loans are secured loans . If you fail to make your payments on your loan, it could cause you to lose your house. If you are required to provide collateral to secure the loan, be sure you make all your payments on time. When you have consolidated your debts, you will have more money because you will have a lower monthly payment. This might tempt you to start using your credit card again so you’d be accumulating more debt while paying off the loan. Consolidating your debts will likely extend the term of your loan because you’ve combined all your debts into one large one. You will have a lower monthly payment and a lower interest rate but it will take longer to pay off your debt. If you have to get an unsecured loan, the lender may charge a high interest rate to make up for the increased risk it is taking. In the long run, you may end up paying a lot of money in interest charges, which could be close to the principal amount. Your credit score will be reduced significantly once you enter into a debt consolidation program. The number of points that you will lose will depend on the type of program you select. This is usually a short-term effect as in the long run, your credit score will improve.